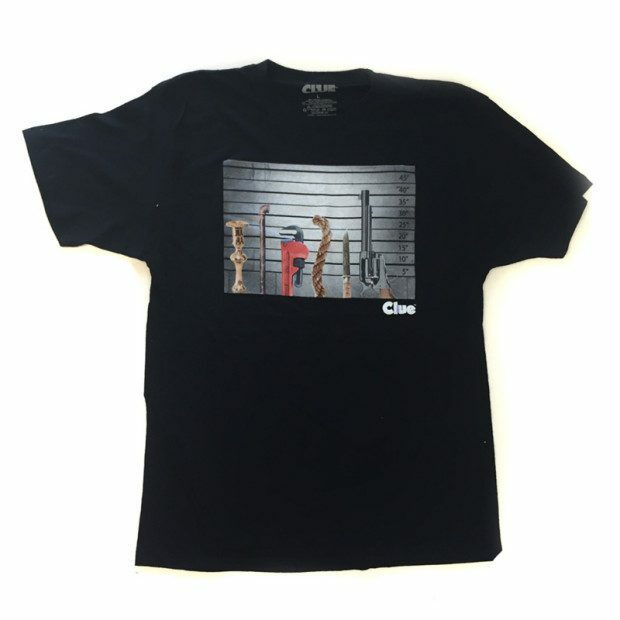 Clue Murder Weapon Line Up Shirt Just $7.99! Ship FREE! You are here: Home / Great Deals / Clue Murder Weapon Line Up Shirt Just $7.99! Ship FREE! If you are a big Clue board game fan, this is the tee for you! Order the Clue Murder Weapon Line Up Shirt Just $7.99! Ship FREE!